Telltale Games co-founder and CEO Dan Connors, has recently confirmed that a publishing agreement between themselves and Microsoft has been signed. 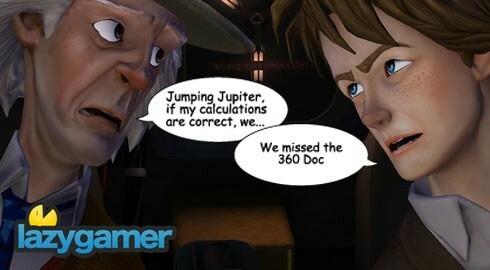 Even though games such as Sam and Max have found their way onto Microsoft’s platforms in the past, â€œtelltaleâ€ signs of a dry spell were beginning to show, especially when more recent titles like Back to the future: the game, simply skipped over the 360 and released on most other platforms. Fortunately Connors admits that Telltale are happy about expanding and bringing their â€œvision of gaming â€œto the 360, so that consumers of the product might enjoy Telltale Games in the future. “Adding console support to our acknowledged expertise in digital downloads is another positive step in our long-term growth strategyâ€ said Connors. Telltale have promised that specifics regarding the line for the platform will be released soon. Previous article Gaming: are women misrepresented?